Jojo Abot shares her 4-track 'Fyfya Woto' EP, a conceptual work that tells the forbidden love story of a young Ghanaian woman. Jojo Abot tells the forbidden love story of a young Anlo woman in her 4-track conceptual EP Fyfya Woto. The EP follows the fictional, title character Fyfya during the time of slavery as she's "caught in a comprising position with her Caucasian lover... and brought before a tribunal at which she must save not only herself but also her lover," the Ghanaian 'afro-hypno-sonic' singer explains. The four songs on the EP chronicle Fyfya's tale as Jojo delivers Ewe and English vocals over lightly reggae-tinged experimental beat compositions. “Fyfya Woto is a rewrite of my grandmother's name which essentially means 'new discovery or find'," Jojo writes, "but I believe in order to be discovered one must already exist. She exists, we are only now getting to know her for ourselves. The EP delves into matters related to family, tradition, duty, love, freedom, slavery and of course gossip but most importantly it highlights a woman's right to choose even at the high cost of losing both life and freedom." 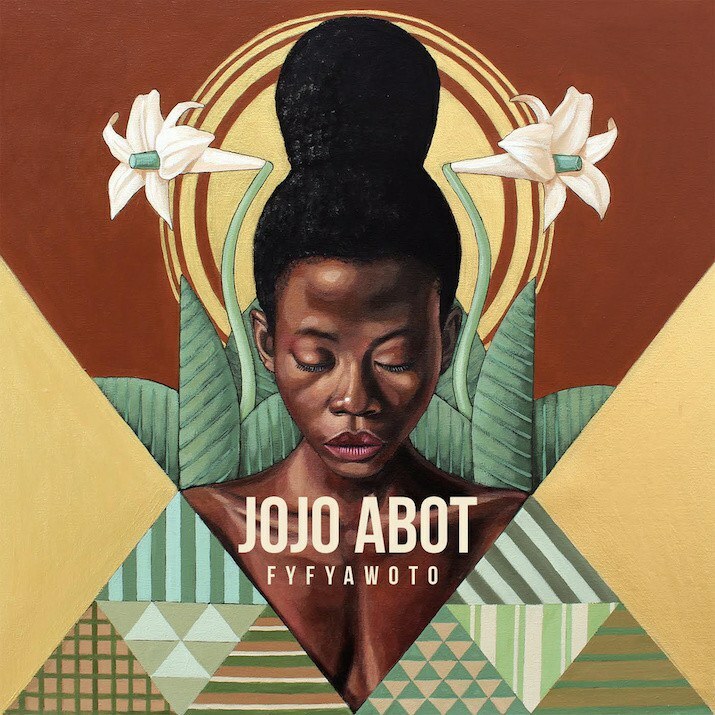 Stream Jojo Abot's Fyfya Woto EP, recorded in Copenhagen with co-producer Jonas Rendbo, below and purchase it through bandcamp. 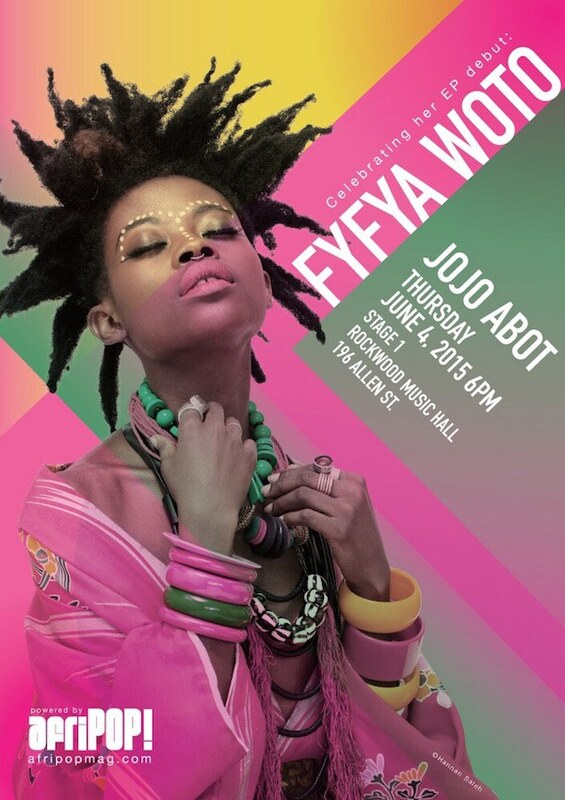 Jojo Abot is throwing an EP release show tonight at NYC's Rockwood Music Hall, see all the show details in the flyer underneath.